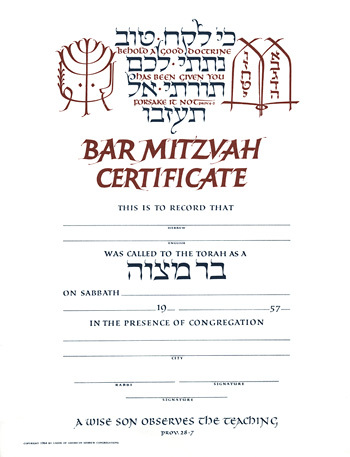 Bar mitzvah certificate. One of a series of certificates done for the Union of American Hebrew Congregations. 1964. Offset.